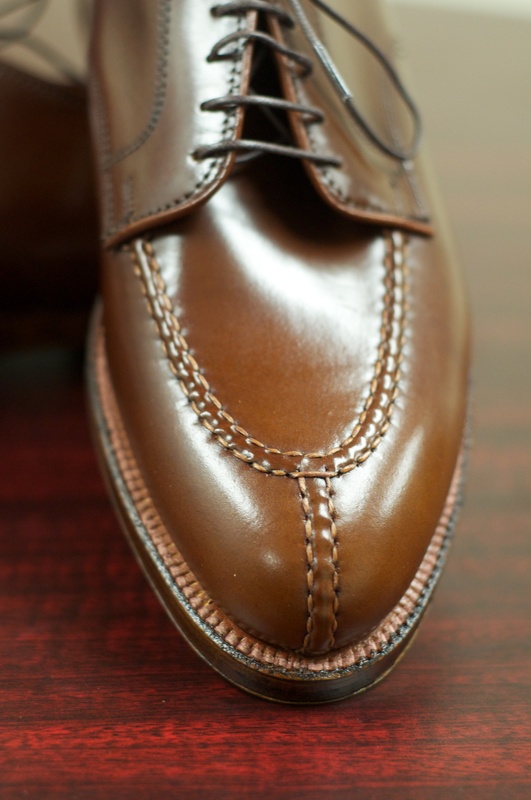 The Norwegian Split-Toe pattern is just one of those designs that keeps on growing on you. 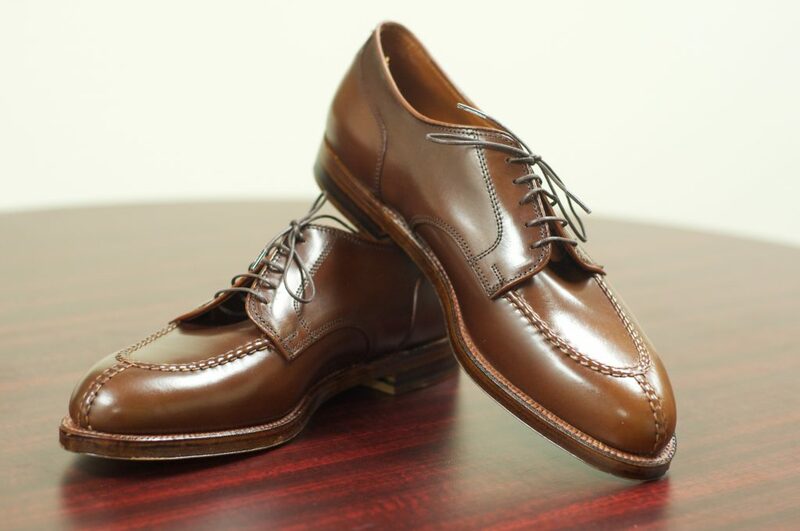 Frankly, when I first got introduced to the Alden brand, I actually wasn’t a huge fan of the pattern. But, over time it has continuously grown on me and now it is probably my favorite design. 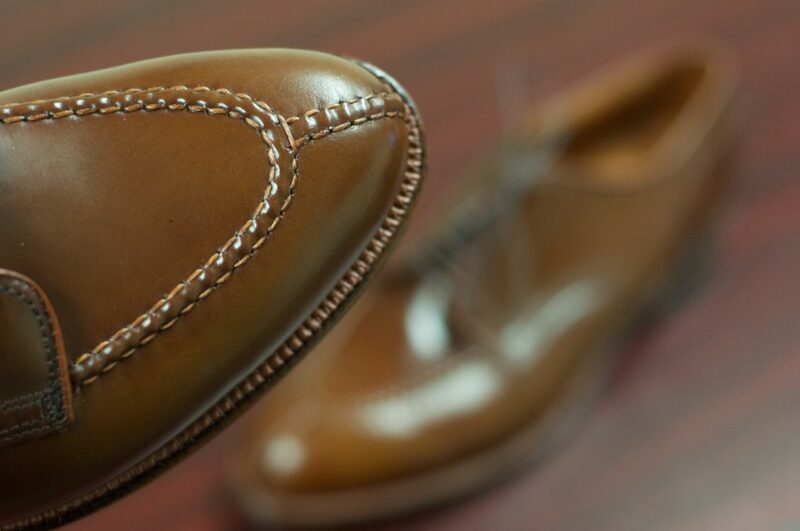 The attention to detail on the hand stitching is nothing short of impressive. 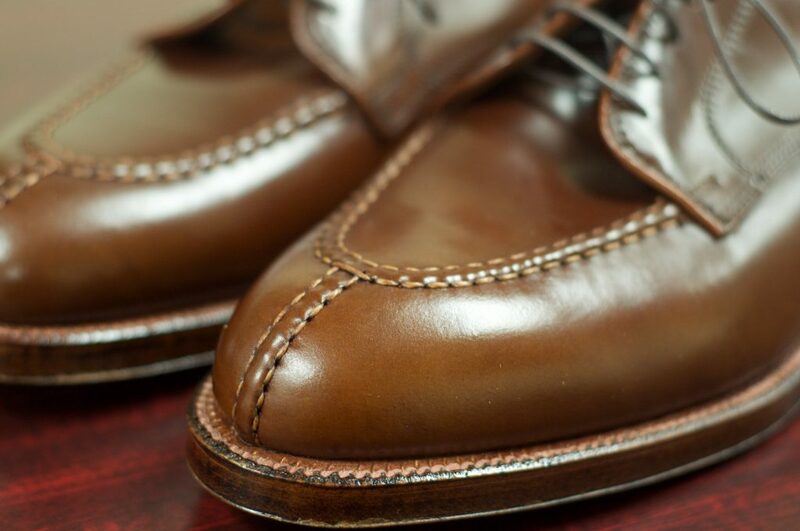 It features the same hand stitch work that makes the Leisure Handsewn and Shell Cordovan Indy Boots so special. 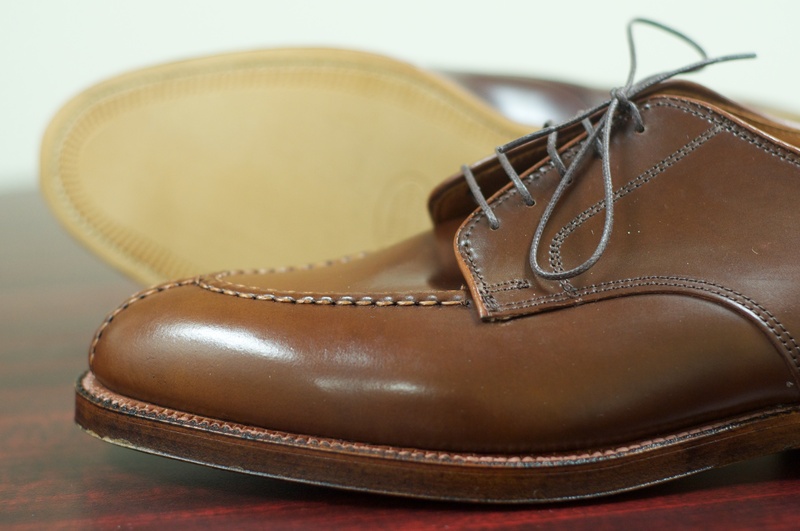 This blucher is made out of Alden’s exclusive Ravello Shell Cordovan, a special shade of Horween’s Shell Cordovan that is a medium brown color with a red undertone. 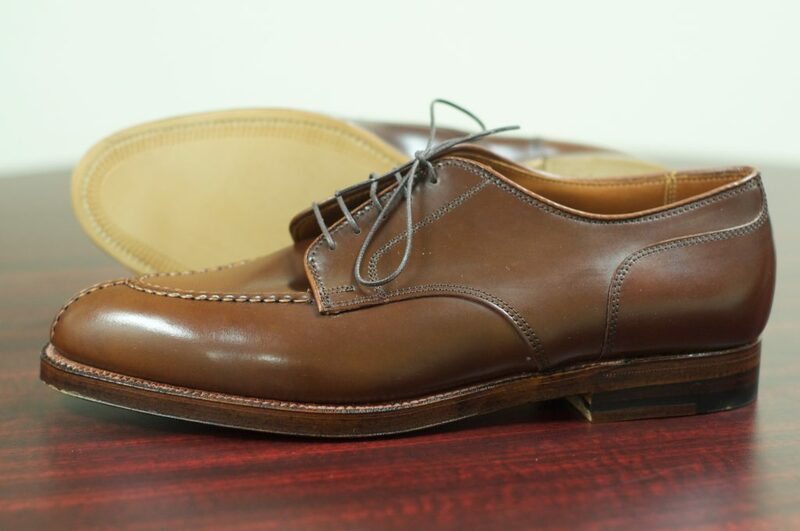 It is based directly upon the classic Color 8 (2210) version, as it is made around the Aberdeen Last with a Flat, 270 degree welt. 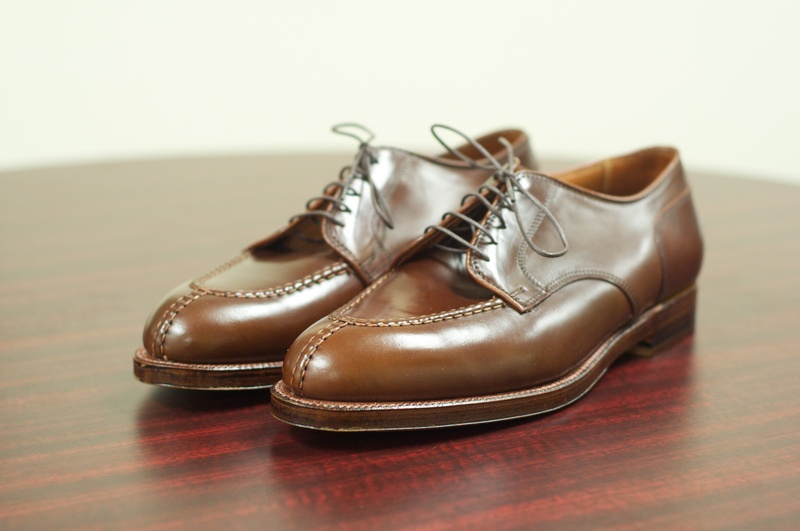 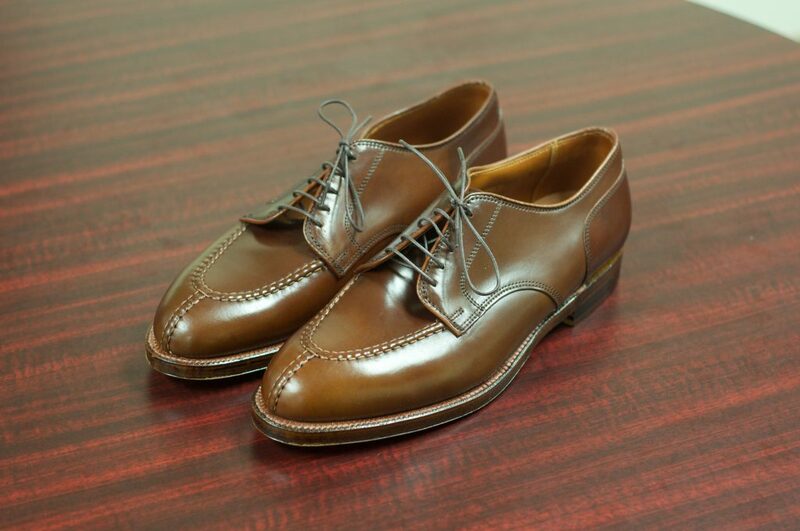 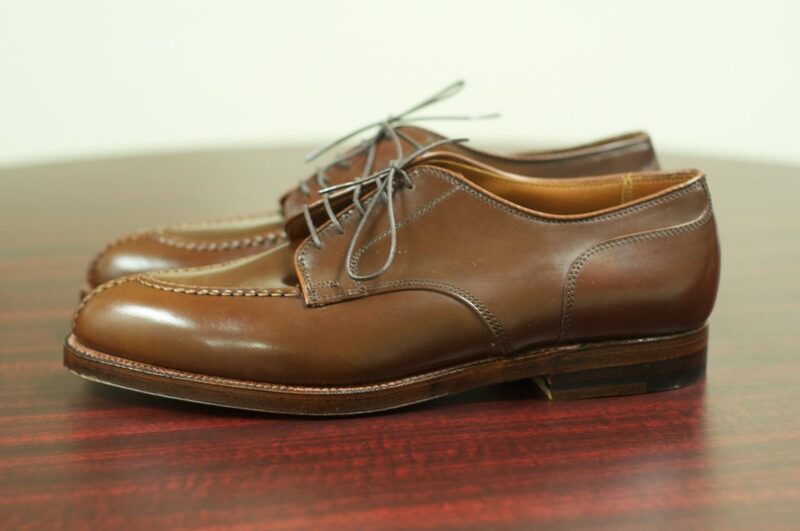 The Ravello NST Blucher features Alden’s magical Tan “Antique” Edges. 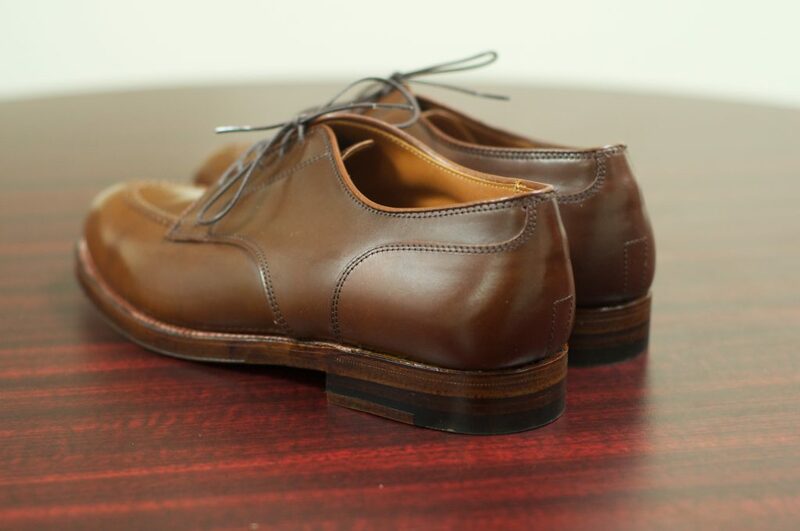 This all combines to make one amazing shoe.